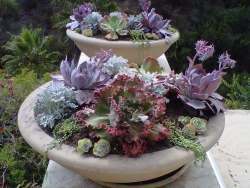 In my garden there are two requirements for any of the plants growing there; drought tolerance is a biggie, and textural or colorful comes second. If they also attract butterflies or other insects or provide berries for the birds, all the better. 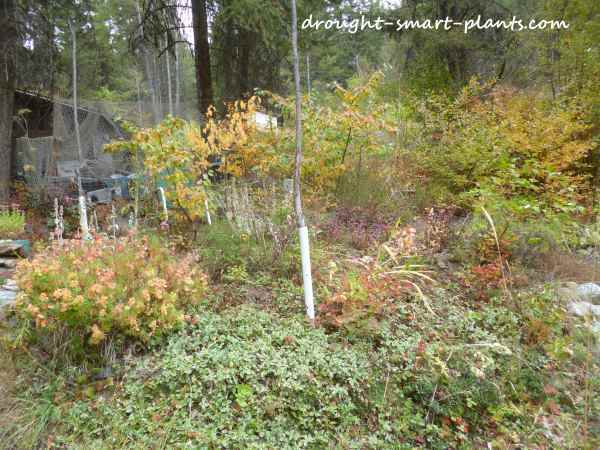 Here are a few tested and trialed in my Zone 5 (Canadian Plant Hardiness Map) garden which is warm and dry during the summer months, and cool and snowy through the winter. When you never water (like me) you need some plants in your garden that thrive without constant coddling and irrigation. 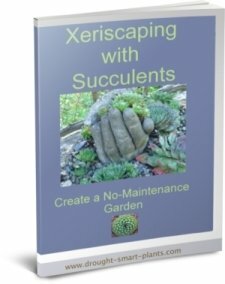 What could be better than succulents of some kind? If they're cold hardy as well, that's a bonus. Some of my all time favorite plants are the larger types of Sedum or stonecrop. I lump these all into the Sedum for Borders category and they include one of the most well known of all, Autumn Joy. Don't forget about some of the perennials that grow in many gardens - they have also had a lot of testing, in many gardens around the globe, so they must be good. 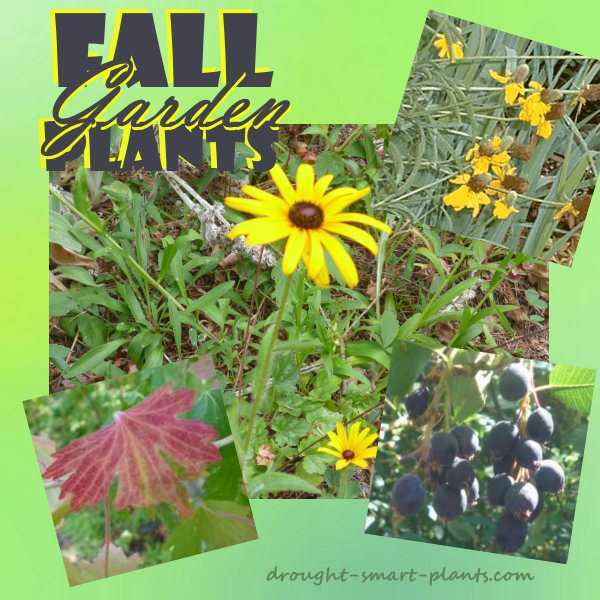 Liatris, Rudbeckia, Aster, Chrysanthemum and many other tough as nails plants add structure (as long as you resist cutting them down and tidying up in the fall) and also provide overwintering places for the many beneficial insects and predators. Shrubs that have berries and are easy to grow (read; low to no maintenance) and also provide nice bright fall color are always welcome in my garden. Even the lowly Amelanchier (Saskatoon) and other native shrubs will be a great source of bird fodder for the important insect eating residents. Another of my favorite shrubs is the odd Jostaberry which is a hybrid between black currant and gooseberry. Make some jelly for your winter breakfast, and leave some for the wildlife. Many willows are not just pretty in the way they move in the slightest breeze, they are also valuable for host plants for many butterflies. Plus, they usually turn color as the nights draw in and the cooler temperatures approach, and even once the leaves have fallen, the twigs retain the bright red or gold color - always an added benefit. 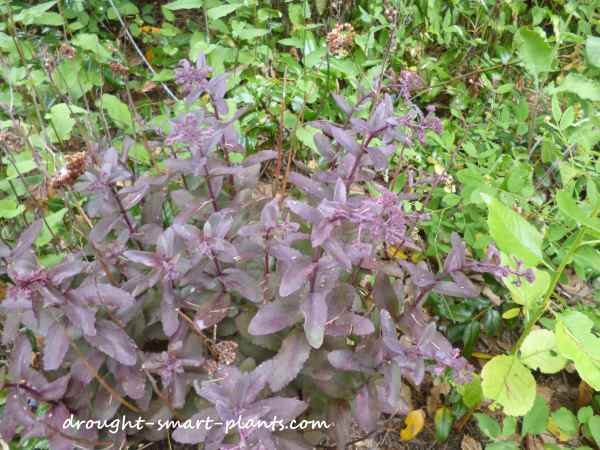 See more fast growing shrubs here. Ornamental grasses are essential for the texture and movement, as well as the seed heads which can provide lots of bird fodder, depending on the species. 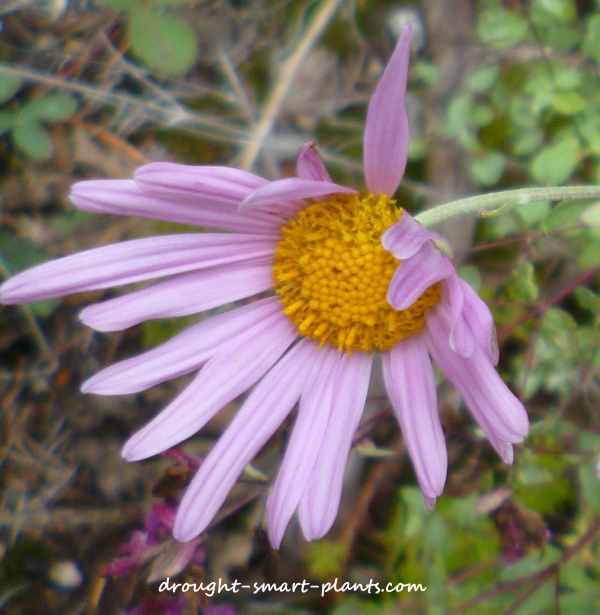 So don't give up on your garden just because summer is drawing to a close. 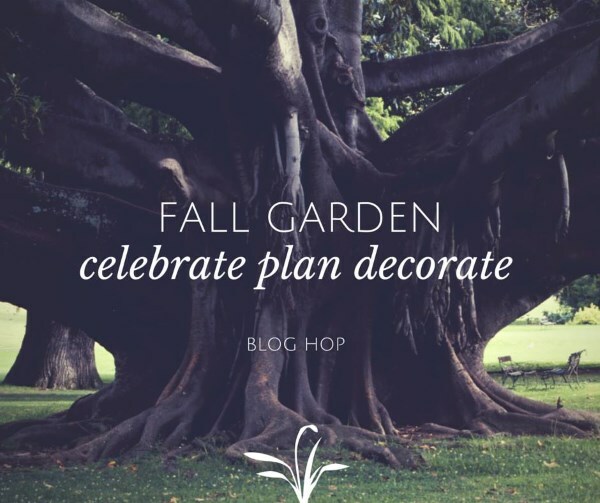 Every season should be special in your garden - plant some fall garden plants in yours.